While the City of Toronto says there are about 7,000 people using its shelters every night, the real number could be upward of 9,000, according to Dixon Hall, an organization offering services to homeless and marginalized people in downtown Toronto. “If you add in the street count – those camping, staying on the streets or couchsurfing – you’re looking at close to 9,000,” said Alex Zsager, a community services consultant for Dixon Hall. Dixon Hall supports the 16 faith-based organizations that come together every winter to run the Out of the Cold program (OOTC), an initiative with over 3,000 volunteers across the city. Zsager, who used the OOTC program when he experienced homelessness 15 years ago, said he conducts street counts once a year, along with many other groups and volunteers, to help inform the city’s street needs assessment. “Even the street counts are probably less than what they should be because we just can’t hit every little nook and cranny, unless we have 300,000 volunteers going out,” he said. 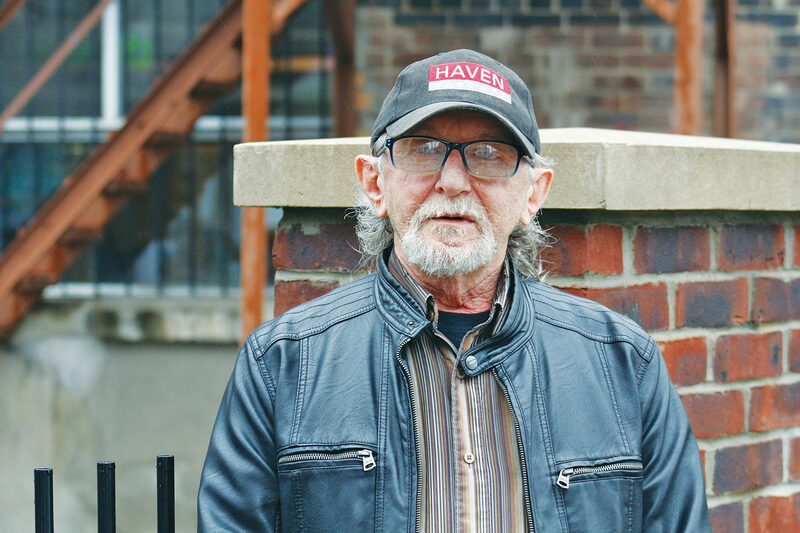 Zsager is part of Dixon Hall’s first community-based research project on homelessness in Toronto, where he discovered that the people they interviewed prefered OOTC to the shelter system. David Reycraft, director of housing services at Dixon Hall, suggested that the numbers from the city’s street needs assessments will be available to them in November. “It is anticipated that the numbers will be around 9,000,” he said. Reycraft reiterated that this number is an estimate. The first formal research of its kind, Dixon Hall conducted a comparative analysis of experiences between OOTC guests and those within the city’s shelter system. The preliminary data was released at a panel discussion on homelessness in Toronto on Oct. 10. The research from focus groups showed that people experiencing homelessness preferred the OOTC program over the shelter system. “I think that people feel really supported by community,” Reycraft said. “They feel comfortable with the people who volunteer in the program, and I think that’s a very important piece of information in the findings. “We need to find ways to incorporate that kind of compassion and focus in the work that we do in the emergency shelter system,” he added. In June, the city announced it will spend $10 million on four prefabricated temporary structures to help deal with the growing number of homeless in Toronto who will soon be dealing with colder weather. Each of the structures the city is installing can accommodate 100 people, plus staff, is 150 metres by 20 metres and is fully insulated. Nadia Jamil, the lead researcher at Dixon Hall, said the last respite site will probably be along the Lakeshore. “The burden has kind of been shared across the homelessness sector,” Jamil said. Jamil said the research focused a lens on the most marginalized people, looking to get their unique perspectives on homelessness and access to housing. One of the reasons they wanted to do this project was because they knew there was a clear distinction between OOTC and shelters, she said. Dixon Hall’s research team and advisory committee will meet for data analysis throughout November to identify key themes and emerging recommendations.